How do you create a boudoir fit for a queen? Our styling guru and cushion artiste, Georgia K, imparts her expertise to help you create the designer bedroom of your dreams. The most expensive element to your bedroom is the bed, and its style dictates the look and feel of the entire room. Yet you can make your own affordable upholstered bed head for under $100, depending on the choice of fabric. If you don’t wish to have a bedhead, then a selection of European pillows with lovely covers can frame the bed just as beautifully. A rule of thumb is to use 3 European pillows for a King Size bed and 2 for a Queen, propped up against the wall or bedhead. Alternatively, for a relaxed modern feel, omit the Euros and use either one or two sets of standard pillows, either laid flat or stacked on top of each other. Don’t be afraid to mix patterns and textures with scatter cushions. Play around with the sizes and compositions to create interest, yet stick to a colour scheme to ensure harmony. Buying bed linen can be expensive, so it’s important to get it right the first time. Opt for a quilt a size larger than your bed for a more opulent look. That means, use a King size quilt for a Queen mattress and a Super King quilt for a King bed. Keep it neutral with a white quilt in either a linen or a waffle weave for versatility. The look can then easily updated with scatter cushions and a coordinated throw. Choose colors to create your designer bedroom with your preferred style and the mood you’d like to create. For a classic and bold look, a black and white scheme with metallic accents of gold or silver is timeless. For a modern edge, pair grey with tan, orange or yellow. For a girl’s bedroom, pink and teal are bright and playful, and for a guest room, blues are always smart, soothing and restful. Table lamps provide both ambient and task lighting. Choose oversized, bold and statement lamps for a formal look. Bases with ornate and intricate details are elegant, and simple and clean lines, suits a modern aesthetic. Accessorise your bedside with books, flowers or frames. Keep the clutter to a minimum for a calm environment and better night sleep. In a larger bedroom, you can afford to lounge about like Cleopatra. Use ottomans at the foot of the bed or add a comfy chair to lounge back in or use as a quiet reading space. Pair it with a floor lamp and a side table or a drum for a more contemporary look. 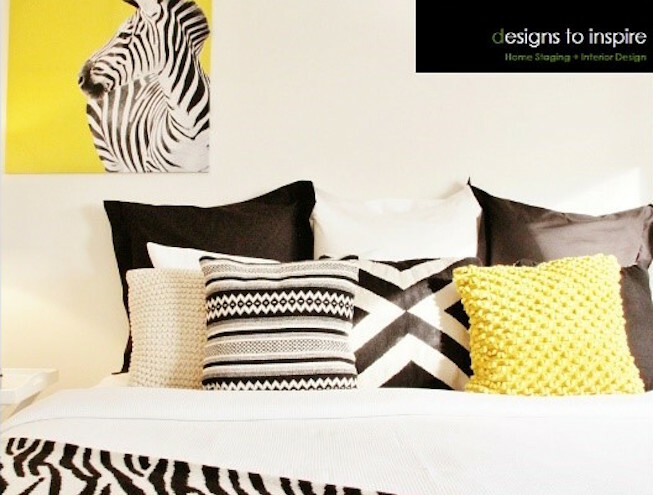 Follow these 6 key steps to create the designer bedroom of your dreams. For more inspiration, make sure you you follow us on Instagram to see the latest styles and on trend looks.